Natalia Lafourcade reimagines Latin American folk. More than two decades after his death, the Mexican singer Natalia Lafourcade has presented herself as a kind of kindred spirit—a disciple of Yupanqui’s school of preserving cultural memory. Lafourcade’s own fascination with Latin American folk roots inspired her to make the 2017 album Musas, a stunning compendium of original songs and classic covers, released with the help of the guitar duo Los Macorinos. Musas won Lafourcade a Latin Grammy Award for Best Folk Album last year and succeeded in introducing many traditional artists and composers to a new generation. A number of songs recorded for Musas didn’t appear on the finished album, and Lafourcade decided to compile them for a follow-up, Musas Vol. 2, which was released on February 9. With the steady traditional guitar rhythms of Los Macorinos as a guide, Lafourcade forges deeper into the pages of the Latin American songbook on this sequel, which contains boleros, sons, and trovas, early guitar-driven genres that helped lay the foundation for popular Latin music. Musas Vol. 2 also presents lullabies and folk melodies popularized by Yupanqui himself. Exploring musical roots isn’t necessarily new for contemporary Latin American musicians. Even the most forward-thinking electronic artists have eagerly returned to their ancestors for inspiration: The Ecuador-based DJ Nicola Cruz, for example, works with ancient Andean flutes and Afro-Latin mapalé rhythms to make his colorful compositions. Back in 2015, newcomer Ileana Cabra collected a number of awards for Ilevitable, a debut album of original ballads and boogaloos that could easily have been extracted from the 1950s. The most recent Latin Grammy for Best New Artist went to the Dominican singer Vicente Garcia, a dreadlocked romantic whose songs are reminiscent of the early days of bachata and other Caribbean genres. As the album progresses, Lafourcade continues the parade of inimitable artists from bygone eras. She honors Margarita Lecuona, the Cuban singer and composer best remembered for her 1940s composition “Babalú,” popularized by Desi Arnaz. Lafourcade refashions Lecuona’s bolero “Eclipse” with a dreamy, jazz-inspired piano—the only use of the instrument on Vol. 2—that winds quietly through the song. Later, she brings out the strut of Peruvian dance rhythms, tonderos and huaynos, for “Te Sigo,” an homage to Augusto Polo Campos, the revered Peruvian composer who died in January. Musas Vol. 2 also includes odes to Mexican artists like Álvaro Carrillo, a Oaxacan singer responsible for hundreds of ballads, and Manuel Ponce, a composer and scholar who experimented with Mexican folklore and European classical music. Lafourcade’s biggest risks come when she undertakes music that Latin American listeners may remember a grandparent singing to them as children. She offers a take on “Duerme Negrito,” a lullaby believed to have originated from enslaved people on the Venezuelan-Colombian border. The lyrics are written from the perspective of a caregiver trying to put a child to sleep while his mother works the fields, and each verse details a treat that the mother will bring upon her return. Yupanqui is credited with recording the song first, but the most powerful iteration is probably by the Argentinean folk matriarch Mercedes Sosa. Lafourcade can’t replicate Sosa’s intensity or strength, so she resorts to a wistful rendition that features a whispered chorus, provided by backup vocalists, and adds levity to the recording. The lighthearted, youthful quality of Lafourcade’s version creates more tension with the lyrics, which convey a threatening climax—if the child doesn’t sleep, “el diablo blanco” will come to eat his little leg. Lafourcade also boldly reimagines “La Llorona,” a Mexican folk song from the Tehuantepec region that revolves around the legend of a weeping ghost. The tune is ubiquitous in Latin America, largely because artists like Chavela Vargas, Lila Downs, and the all-woman band Mariachi Flor de Toloache have continually re-created it. 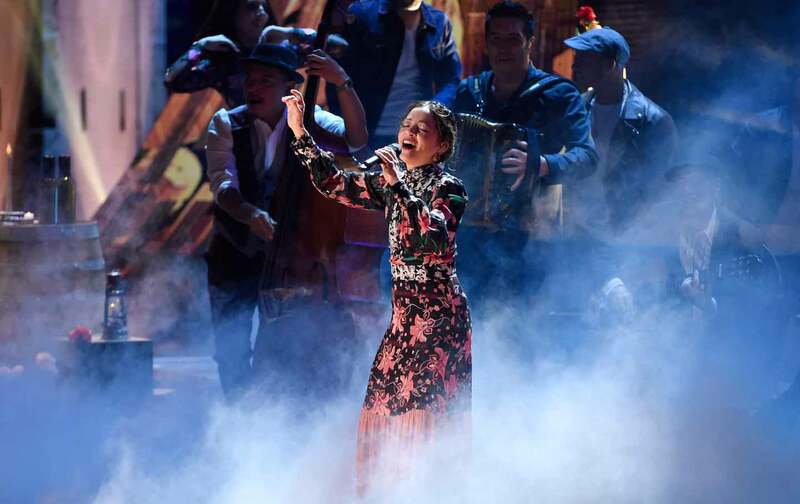 Most recently, a spirited version of “La Llorona” made it into the animated Pixar film Coco—a movie that, with its themes of honoring ancestry and familial roots, has a lot in common with Lafourcade. (She performs “Remember Me” with R&B singer Miguel on the soundtrack.) Lafourcade extends the legacy of “La Llorona” by adding her own sparse version. Its stripped-back quality reflects the spookiness and desolation of the song, and Lafourcade’s soprano, which is usually lithe and dreamy, becomes suddenly haunting. A project in nostalgia always runs the risk of feeling contrived or annoyingly twee. But the simplicity of Lafourcade’s vocal and instrumental arrangements keeps Musas Vol. 2 from morphing into something convoluted or insincere. 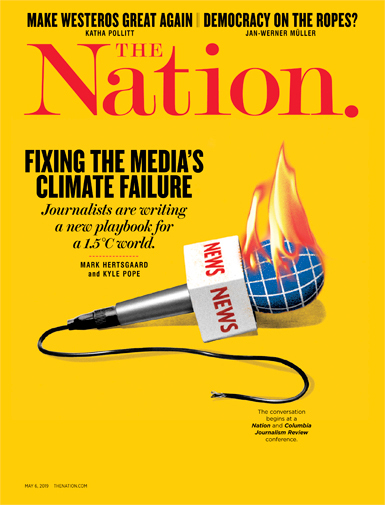 The production never goes for gimmicks, like simulating the crackles of a Victrola or the fuzz of an old cassette tape. When discussing the making of the first Musas, Lafourcade said that she wanted the music to feel natural and woodsy. “I wanted an album that represented real music, bohemians, instruments made out of wood,” she told Billboard last May. “The music we made there is something we can’t explain, it could only be felt.” Lafourcade accomplishes this organic quality with restrained production and Los Macorinos’ crystalline guitars. The two guitarists who make up Los Macorinos, Miguel Peña and Juan Carlos Allende, have more than 50 years of experience, and they’ve collaborated with many notable folk legends. Without them, the Musas projects would perhaps consist of far more imitation and mimicry, but Los Macorinos are a bridge to the past who impart authenticity to Lafourcade’s covers. They also have a deep understanding of her original work. (She released four albums of original music before Musas, including one effort with her four-piece rock band, Natalia y la Forquetina.) Lafourcade includes “Derecho de Nacimiento” on the album, a song she wrote to support Mexico’s student-protest movement YoSoy132. Not only does the track showcase her deep study of Latin American resistance music; it also highlights her own ability to compose and tell stories. The lyrics are reminiscent of political warriors like Victor Jara or Violeta Parra: “I’m going to create a song so I can exist / So I can move the earth for men and survive / To cure my heart and free my mind.” Los Macorinos’ sonic references to nueva canción, a folk-inspired genre popularized in the 1960s and ’70s throughout Spain and Latin America, help the song fit in seamlessly with the other compositions. On “Desdeñosa,” a song written by the Yucatecan trova pioneer Benigno Lara Foster, Lafourcade enlists vocal reinforcements from the legendary singers Eugenia León and Omara Portuondo, the latter a founding member of the Buena Vista Social Club. León is 61 and Portuondo 87, so the three women represent multiple eras in music. But as their voices meld into one another, the singers seem to show how Latin folk music continues to endure against contemporary sounds. The album’s most impressive feat is the euphoric “Danza de Gardenias”—the first song on the album. The bursting Cuban son boasts the most ambitious production on Musas Vol. 2, with a lavish arrangement that includes guitars, bongos, congas, contrabass, clarinet, and trumpet. The song’s theme of celebrating a past love is a message of looking back and paying tribute to one’s history. Lafourcade sings powerfully and jubilantly, backed by a lively choir that features the female quintet Ventino. United, they raise their voices to invite the ghosts of Yupanqui, Lecuona, Sosa, Vargas, and other Latin American legends to join the revel alongside them.